At least two private equity groups placed bids on Yahoo today, and both bids valued the company at more than $20 billion. A consortium led by Silver Lake bid $16.60 per share for a minority stake, according to Bloomberg. 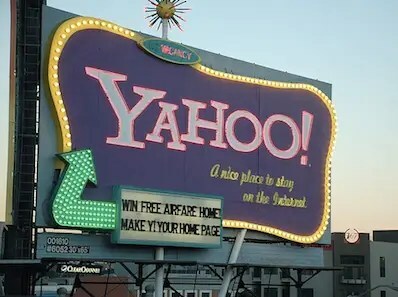 That would value Yahoo around $20.6 billion, or about 6% higher than the company’s share price at market close today. It’s also on the very low end of the bidding prices that have been floated in the pressover the last couple months. Microsoft and Andreessen-Horowitz are also part of the Silver Lake group, the report says, although sources told us that Microsoft is still keeping its options open. Microsoft’s main interest in the deal is preserving its search arrangement with Yahoo. TPG Capital placed a higher bid, but the exact numbers weren’t reported. Jack Ma’s Alibaba Group is still interested in buying Yahoo to regain control of Yahoo’s 40% stake. It is monitoring the bidding. Other firms reportedly considering a bid are KKR & Partners, Blackstone, and Thomas H Lee Partners. WILMINGTON North Carolina’s race to catch up with states that have lured film projects with better financial incentives has paid off with a major motion picture production commitment. “Iron Man 3,” starring Robert Downey Jr. as a comic book superhero, will be produced from beginning to end in this state, Gov. Bev Perdue announced at EUE/Screen Gems Studios on Thursday. The Perdue administration estimates that over the next 10 months the project will bring more than $80 million into the state, create 550 crew jobs and more than 1,000 positions for actors. It will be the largest production ever to shoot in North Carolina, according to the state’s film office. “It’s a huge, huge win for the state,” said Jordan Kerner, a longtime Hollywood producer who also is dean of filmmaking at the UNC-School of the Arts in Winston-Salem. Kerner has worked quietly with the governor and Aaron Syrett, director of the N.C. Film Office, to lure the film industry back ever since he moved to North Carolina to take the position at the university in 2007. Wilmington became star-struck in the 1980s after legendary producer Dino De Laurentis moved Screen Gems Studios there, sparking the state’s reputation for film production. But North Carolina quickly lost ground as other states offered increasingly expensive financial incentives. In recent years, the state has lost more than one major movie project to a competing state. Kerner pushed for a tax credit of no more than 25 percent and urged leaders to explore public-private funding options to build more production facilities. In 2009, the state upped the tax credit to 25 percent, and last year it increased the cap on the credit for each production from $7.5 million to $20 million. The state also ended the corporate income tax on the incentives. There was $73 million in direct spending from movie and TV productions in the state in 2010, and already $200 million this year, Syrett said. 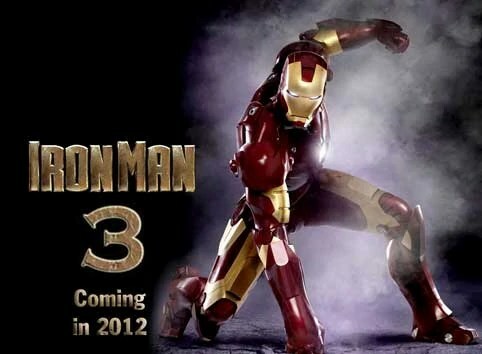 Negotiations over “Iron Man 3” began about six months ago. Michigan hoped to land the film. But its 40 percent tax incentive that had successfully lured film projects was brought to a halt by newly elected Republican legislators.